Cheese is made from milk. First, the raw milk is pasteurized. 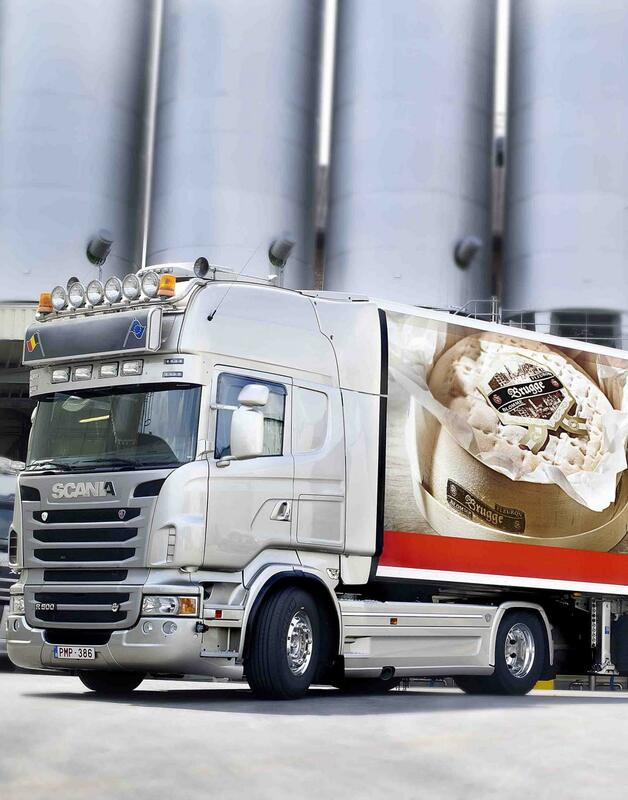 Most microorganisms are extracted from the milk through this process so you are sure there is no more harmful bacteria and the cheese has a uniform taste. The milk is then cooled until it reaches an ideal clotting temperature. 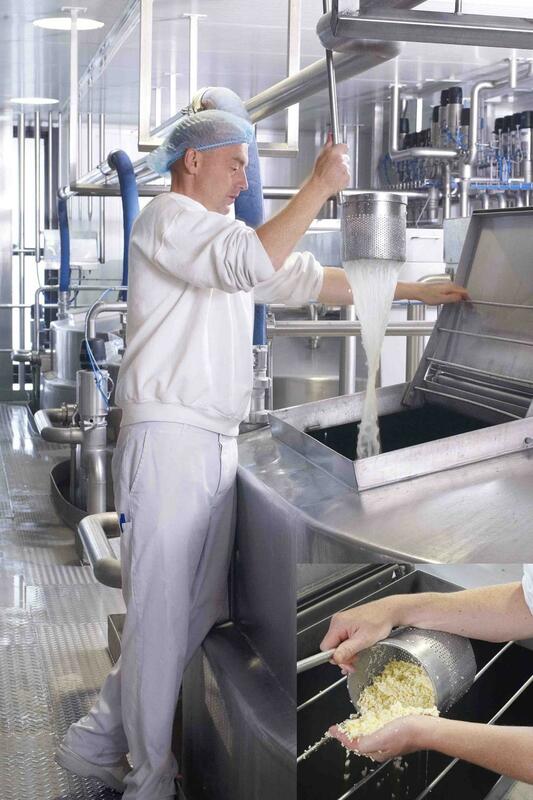 The milk is poured into a cheese vat. Starter cultures and rennet are added to convert the milk sugar into lactic acid. 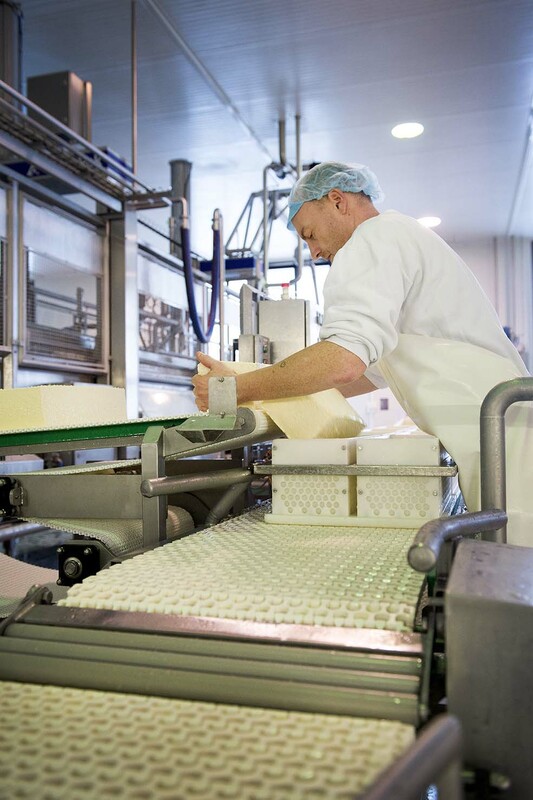 Lactic acid adds flavor to the cheese; the rennet ensures that the milk is thicker. The liquid portion, or whey, is drained away. The curd is then warmed up with hot water until the curd get the desired firmness. 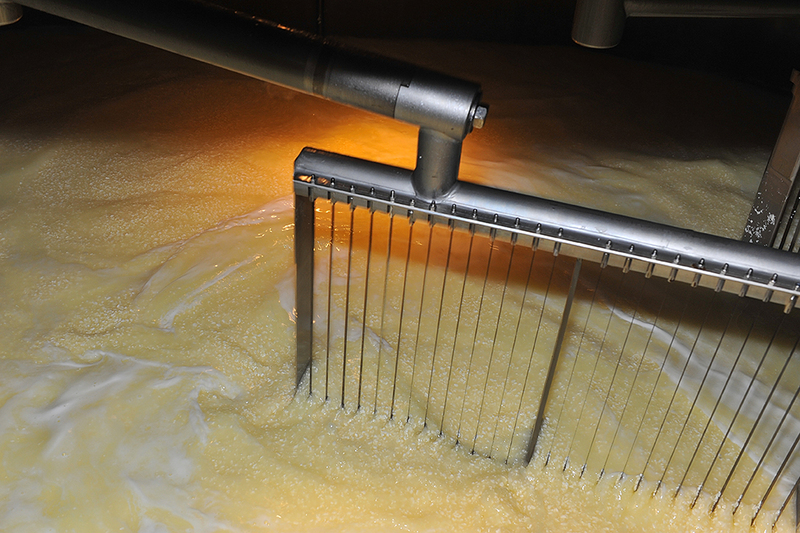 The whey-curd mass go into a vat. 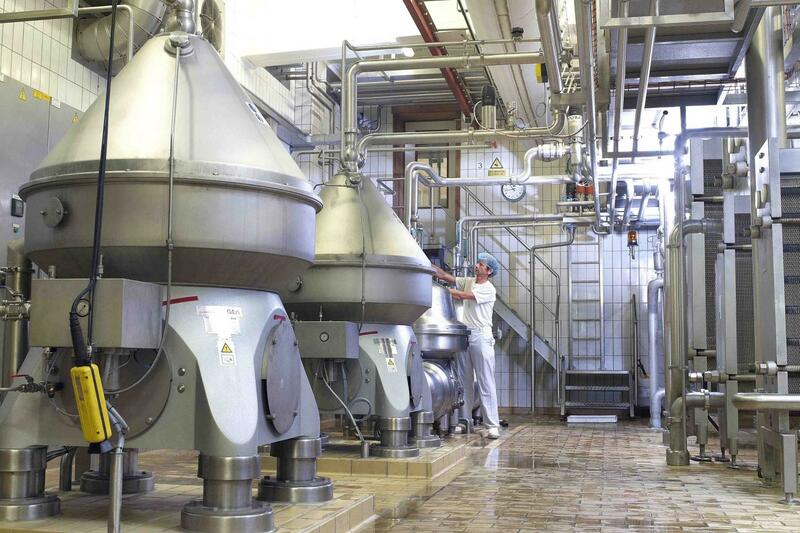 The whey separates from the solids creating a homogenous, tightly-formed block of curd. 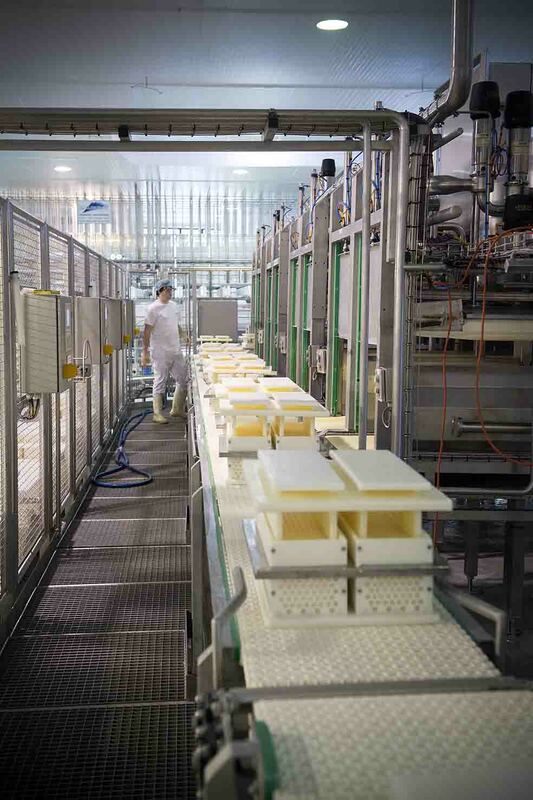 The curd is cut into blocks, put into a cheese mold and pressed. 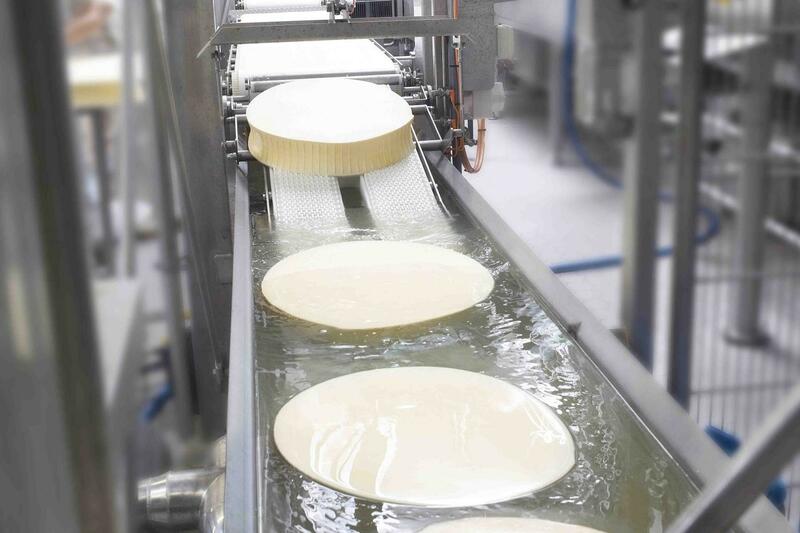 During pressing, the remainder of the whey drains through holes at the bottom of the cheese mold. The pressed curd, depending on the type of cheese, sits for 8 – 72 hours in a brine or salt bath. This prevents the growth of harmful bacteria, gives the cheese a firm texture, and ensures a longer shelf life, a nice rind and extra flavor. After salting, it's time to dry and ripen. This happens in a ripening room set to the ideal humidity, air circulation and temperature. It’s important because this is the stage when the cheese gets its distinctive flavor and aroma. 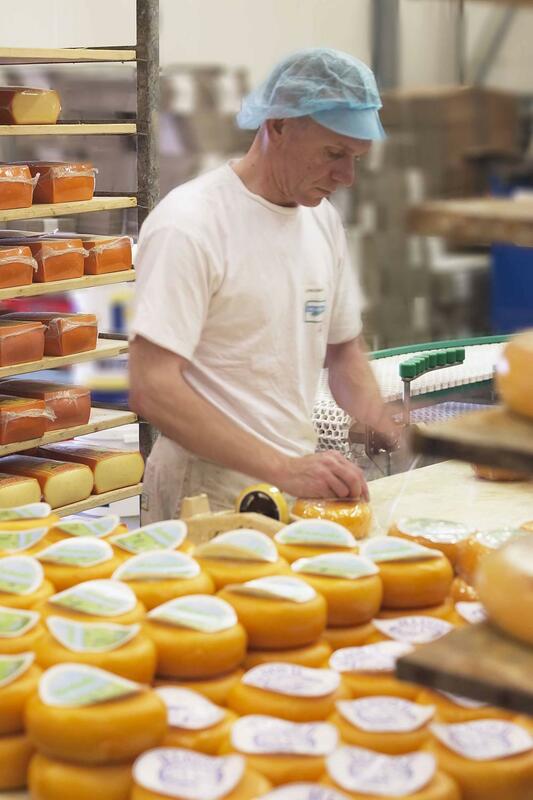 Some cheeses have a protective layer; others develop a natural rind. Depending on the type, the cheese is allowed to mature undisturbed as needed. Bruges Blomme, for example, is already ripe after one month; Bruges Prestige needs 18 months. Has the cheese reached the ideal age? Does it have the optimal flavor? Then it is ripe! 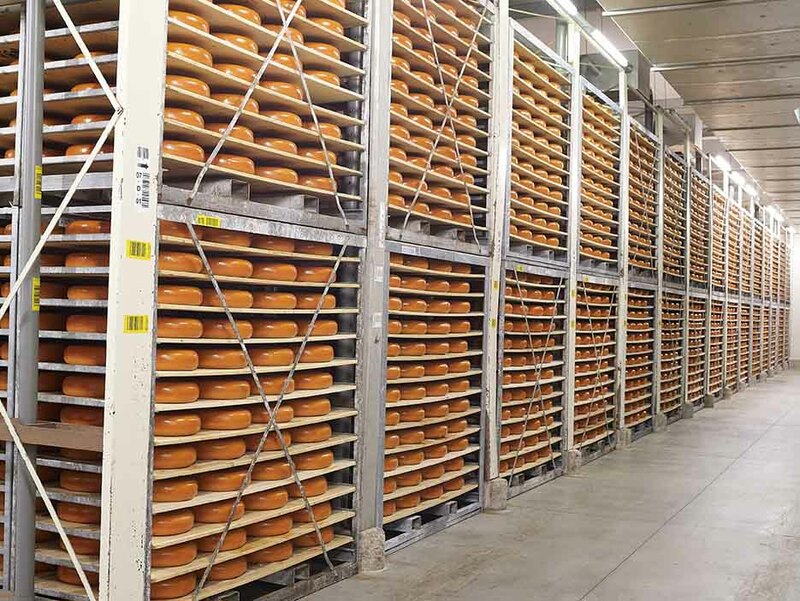 The cheese will be weighed, given the correct label, packaged and shipped to your local supermarket.